Academia has been kind to Bretton Hall. If it hadn’t been for the foresight of Sir Alec Clegg, Chief Education Officer at West Riding County Council, we might not have been able to see it at all. In 1947 he purchased the house for £30,000. It gave Bretton a purpose and an acceptable standard over the following decades. Now it stands silent. While the grounds have been revitalised the house has been empty since 2007. Nevertheless, it remains a graceful sight. Its history goes back to the 14th century when the Dronsfields built on the Yorkshire hillside. The estate passed by marriage to the Wentworths in 1407. Such was the importance of the family that King Henry VIII spent three nights at Bretton and the furnishings, draperies and panelling from this room would go down in posterity. The current house was built around 1720 by Sir William Wentworth, assisted by the architect, Colonel James Moyser. Famously the contents of the Henry VIII parlour would be incorporated into the new house. In 1792 Bretton Hall passed over to the Beaumont family. There began a period of improvement and expansion for the house. In 1793 the library and dining room would be remodelled by John Carr with a new wing built by Sir Jeffrey Wyattville between 1811 and 1814. Stables were added by George Basevi in 1830. Such was the grandness that four lodges would be commissioned. The North Lodge and Haigh Lodge were probably designed by Jeffrey Wyattville, and likely to have been built at the same time as the 1811-14 extension. The Hoyland Lodge has had considerable alterations and the imposing Archway Lodge, designed by William Atkinson in 1801, stands as a stately archway with grooved columns, seemingly leading to nowhere in the 21st century. The house itself is a three-storey nine-bay range built in sandstone ashlar with its roof hidden behind a balustrade parapet. It is topped with tall ornamental chimney stacks. It looks over the pleasure grounds and parkland which were the work of landscape designers Richard Woods, in the 18th century, and Robert Marnock, who was head gardener in the 1820s and 1830s, and would go on to become the first curator at Sheffield’s Botanical Gardens. The River Dearne flows easterly and was dammed in the 18th century to form two lakes. In the 19th century the Bretton interests included property, agriculture, coal mining, and lead mining as well as share interests at home and abroad. They had become one of the wealthiest landowning and mining families of Northumberland with roots at Bywell and Allenhead. In 1831, Thomas Wentworth Beaumont, who inherited his mother’s estate, would be called the ‘richest commoner in England’. He set about selling most of the contents of the house and gardens at auction in 1832. 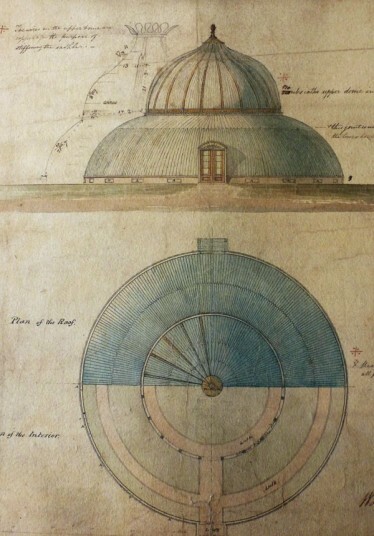 Included in the sale was a huge dome conservatory designed by J. C. Louden (it was 60ft in diameter and 45ft in height). It had cost £8,000 to build but, a Mr Bentley, a brewer by trade, would buy it for a mere £1,450. The conservatory would eventually be sold to the Duke of Devonshire. By the time Beaumont retired in 1837 the money amassed from the auction would be used to revitalise Bretton Hall. He, and later his son, Wentworth Blackett Beaumont, would make considerable improvements to the house and grounds. But hard times were around the corner. In the 1850s he had to reduce rents to his tenant farmers followed later by mineral rents. In the 1880s the leases on his Northumberland lead mines expired and lands in the outlying Yorkshire villages had to be sold to generate income. Wentworth Blackett Beaumont would later become Baron Allendale of Allendale and Hexham in 1907. The Beaumont’s long association with Bretton Hall would end in 1947. Blackett Beaumont’s son, Wentworth Henry Canning Beaumont (the 2nd Viscount Allendale), decided the ravages of the first part of the 20th century had taken their toll. The War Office had used the house from 1939 and, presumably, the cost of renovating the house was too much. The panelling from the Henry VIII parlour was given to Leeds Council and would later be moved to Temple Newsam. 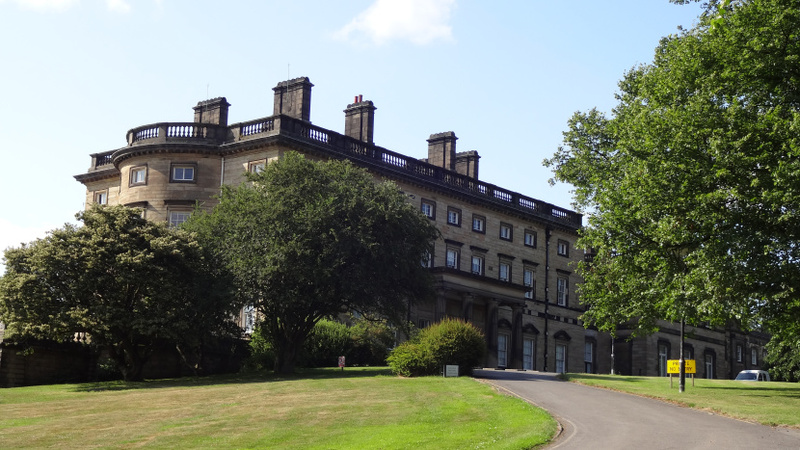 At a time when many stately homes were lost to demolition it is a credit that Beaumont navigated a sale to Alec Clegg at West Riding County Council. Beaumont finally left Bretton behind and moved back to the family home at Bywell Hall. Bretton College opened in 1949 and would continue as a teacher training college, and then as an institution for design, music and performing arts, for the next 52 years. In the 1960s accommodation blocks were built to house the students who had to remain on site in such a remote location. In 1969 it would gain recognition as a location for the Ken Russell film, Women in Love. The cost of maintaining the house eventually proved too burdensome and, in 2001, it was deemed that Bretton College was financially unviable. A merger was negotiated with the University of Leeds and it became a campus until its closure in 2007. The current owner of Bretton Hall is Wakefield Council. It has maintained and secured Bretton for the past seven years but the hall stands vacant overlooking the busy M1 motorway. The parkland is now the popular Yorkshire Sculpture Park and the former deer park is Bretton Country Park. The past development of accommodation and car parks for the college and multiple use as a country park, as well as general neglect, resulted in a fragmented layout of the grounds. In 2009 it was designated ‘At Risk’ by English Heritage but a successful conservation plan has resulted in a significantly improved landscape. Only the annexes, extensions and sixties hostel blocks blight the scene. Once these have been cleared Bretton can once again breathe and bask in its glory. There are plans to convert the grade 2* listed Georgian house into a luxury hotel – project title The Bretton – with Rushbond PLC gaining planning permission in April 2013. The house will have 77 rooms with 120 more added in due course. Alongside will be 39,000 square feet of office space. The student blocks from 1962 will thankfully be demolished. We have already seen that conversion to hotel use can prolong the life of a country house indefinitely. 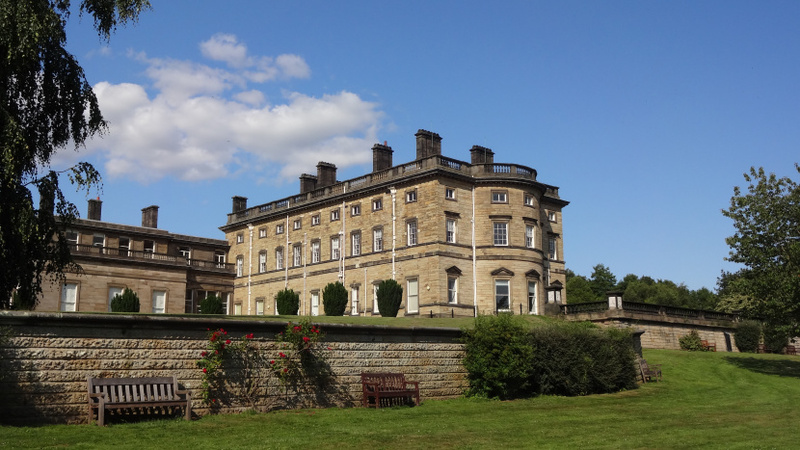 Bretton Hall could be the best of all, with close linking routes to Leeds and Sheffield, but the cost of conversion is likely to be excessive. With no takers so far, one wonders whether it is too much of an undertaking for it to ever happen. 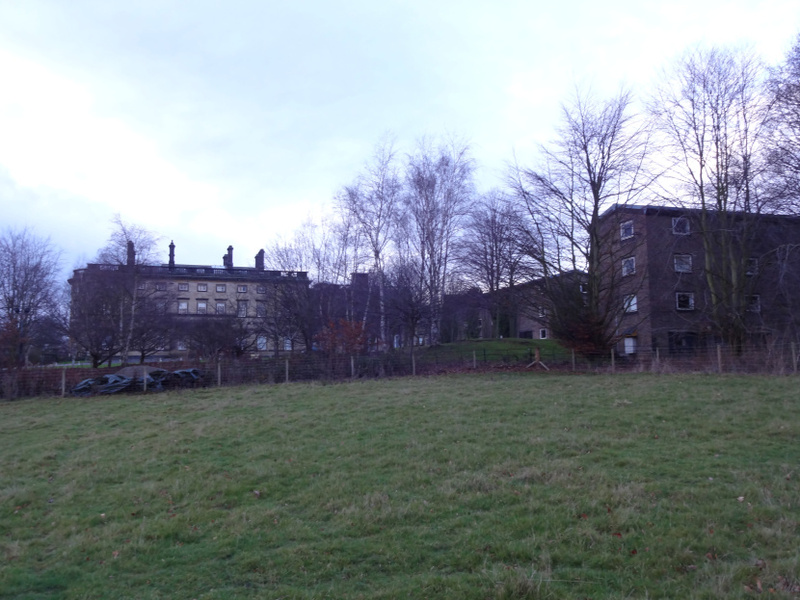 In the meantime, Bretton Hall stands lonely and pitiful in its Yorkshire surroundings.